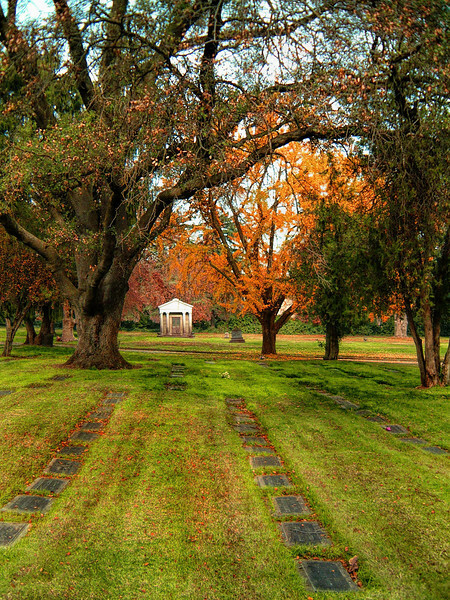 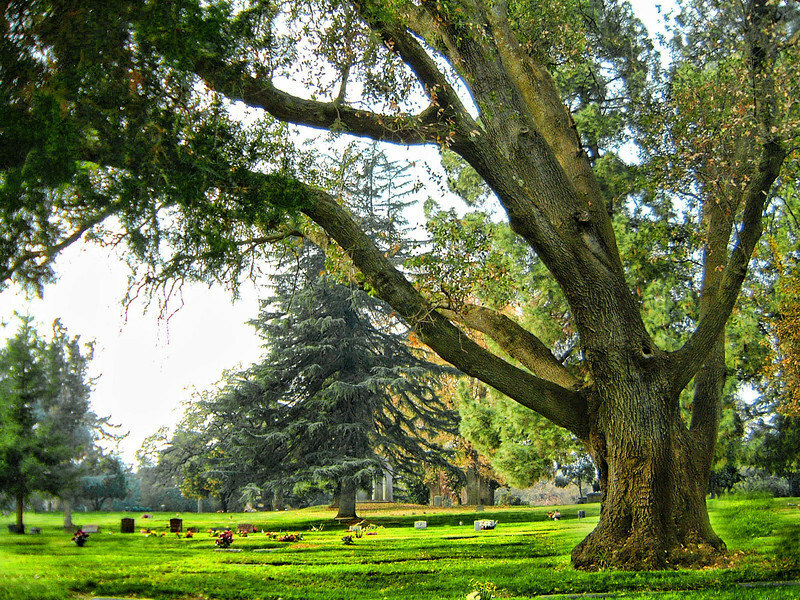 Memorial parks and cemeteries propel our experience into the world between our life and our death. 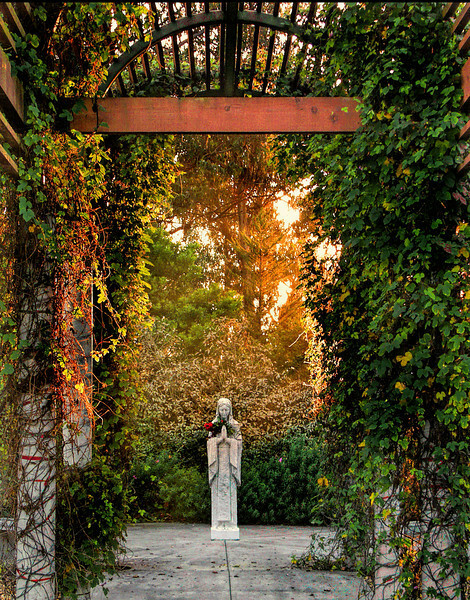 Their unique calm and silence speak to our soul. 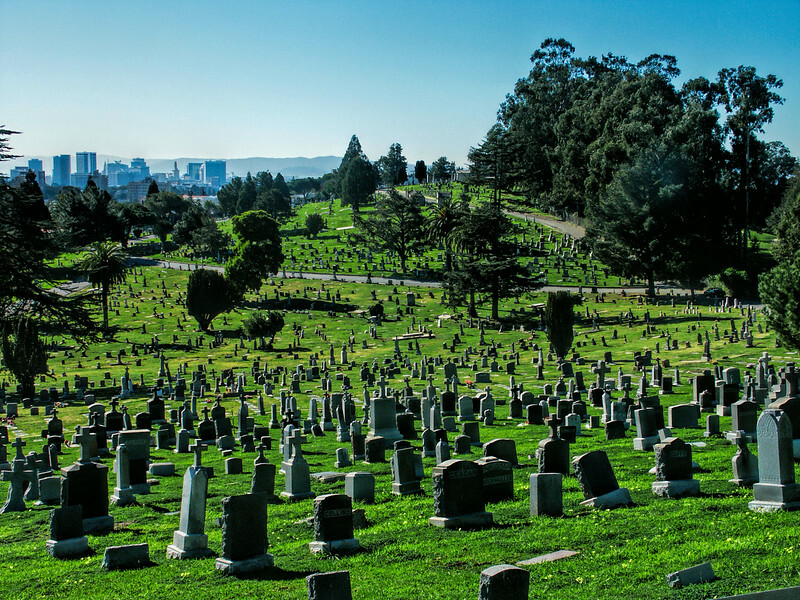 Graveyards attract and perhaps distress us at the same time. 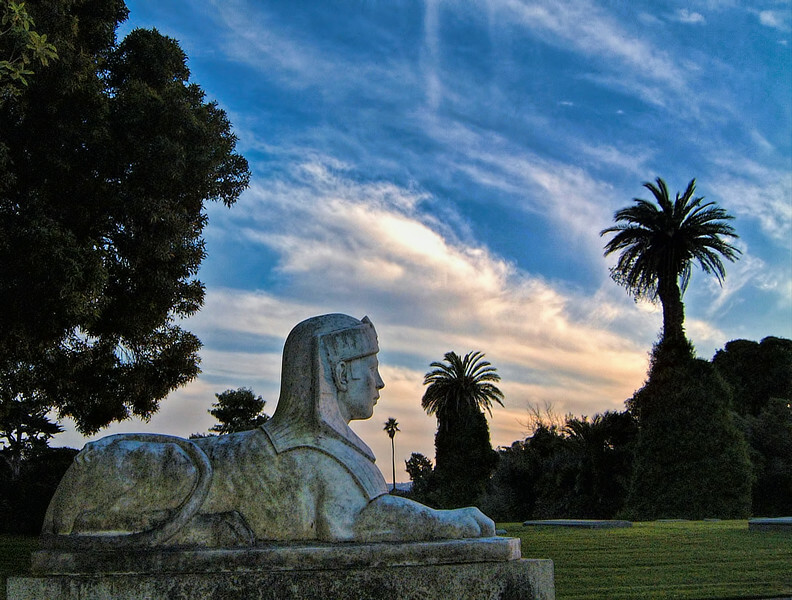 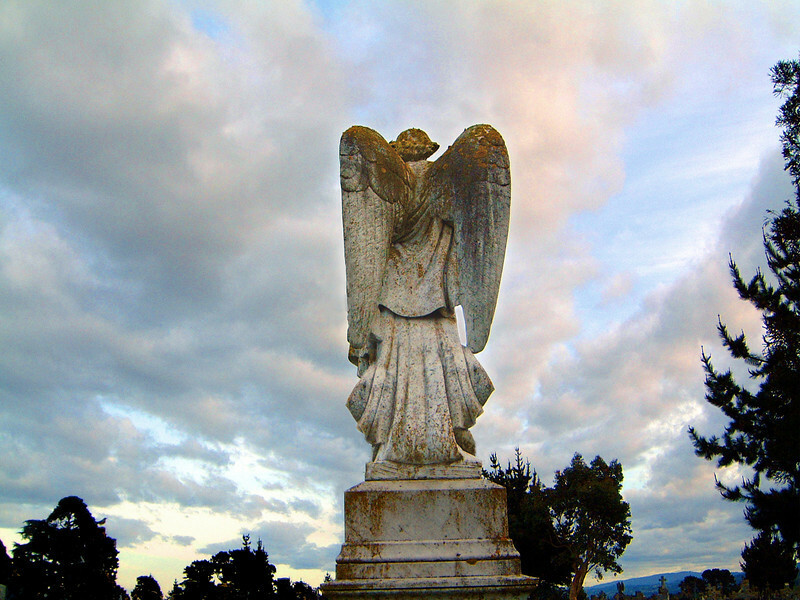 Surrounded by tombstones and angelic statues, they reveal stories about the people – perhaps friends and family – who have passed into a world we cannot now know or reach. 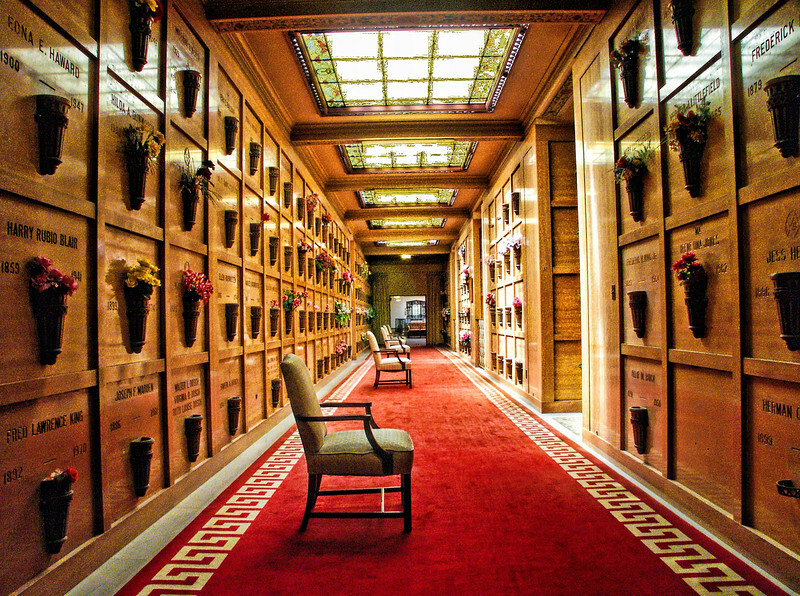 Although theirs are stories from the past, they Imperceptibly convey the finality of our future to us. 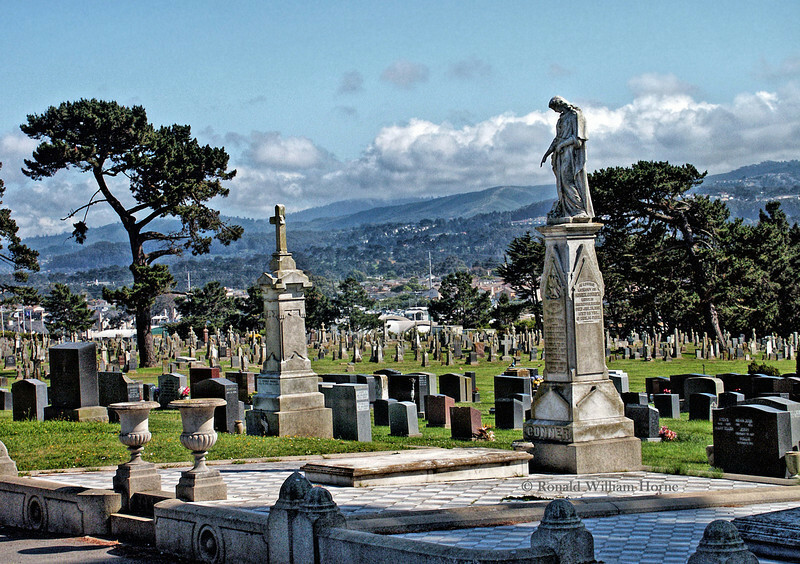 In my book, ‘Forgotten Faces – A Window Into Our Immigrant Past,’ I relate how graves, especially those adorned with ceramic portraits of the deceased on their tombstones, “reach across the partition of time and come alive in our mind’s eye.” Cemeteries make you feel conflicting emotions. 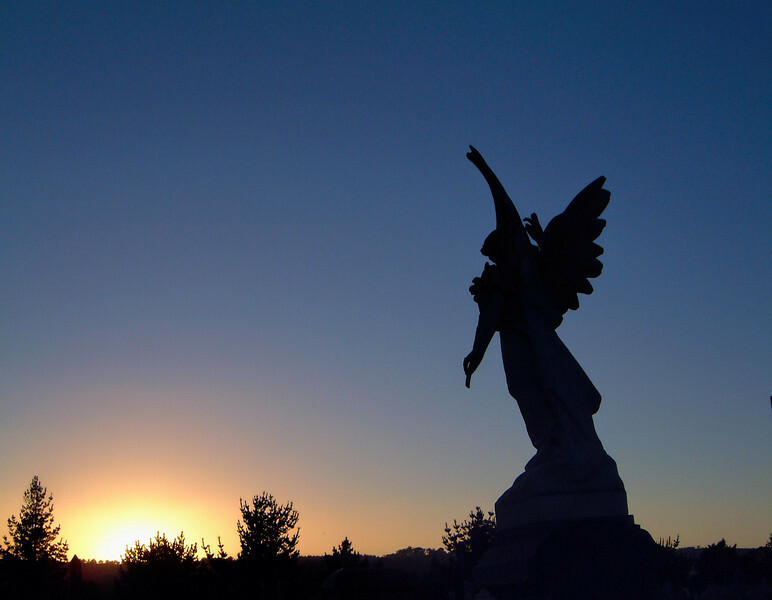 These feelings can be disorienting yet alluring., even comforting. 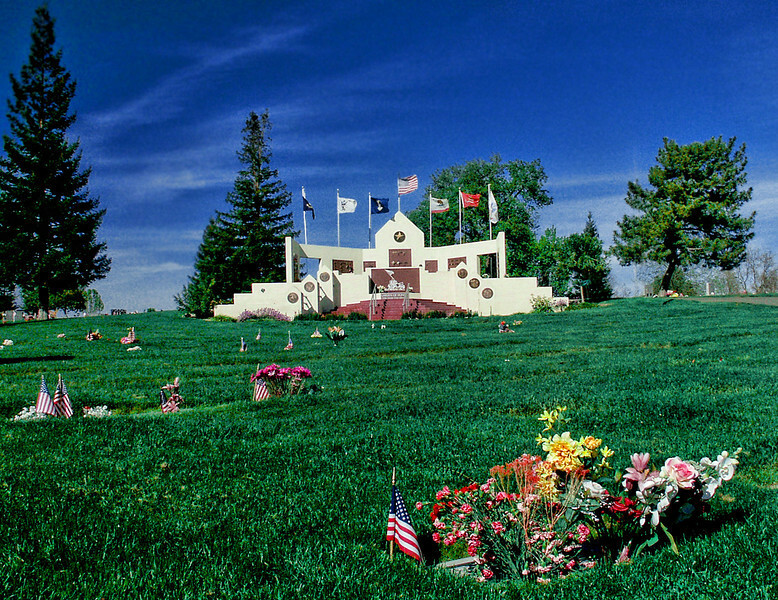 Memorial parks evoke a bewildering blend of life in the present and its inevitable future. 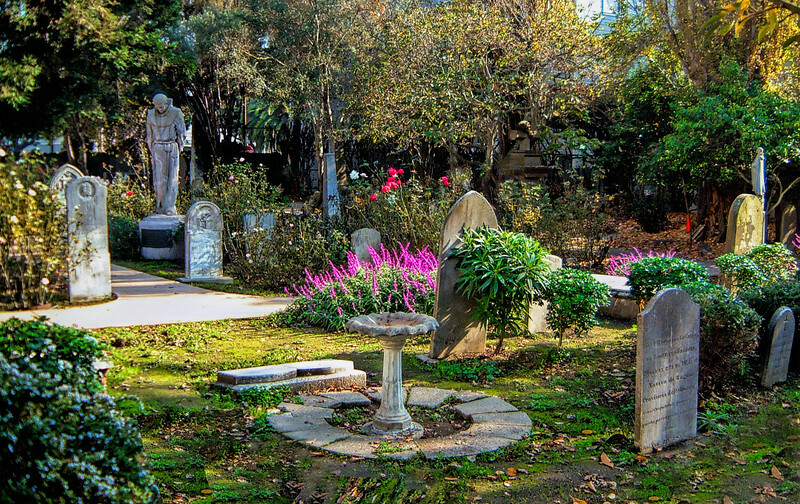 Places of the departed stir the heart, then play tricks with the mind. 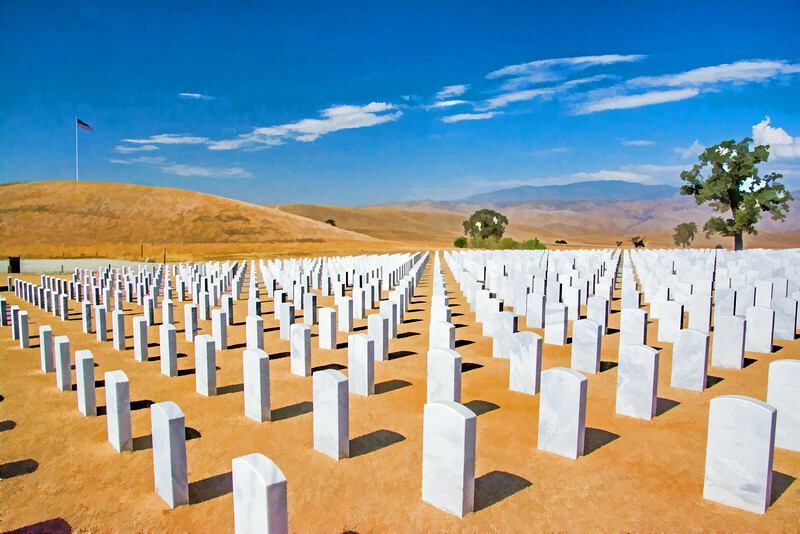 They place you on the boundary of time but you are not sure which side you are standing on. 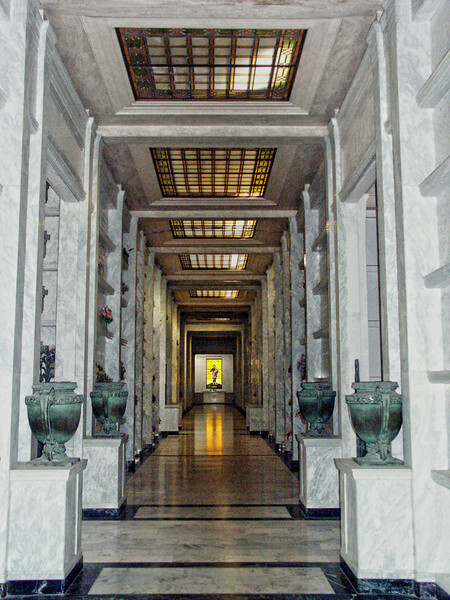 Commercially the objectives of my photographs was to capture their unique beauty and overcome any sense of concern that some might have in entering the sphere of those passed. 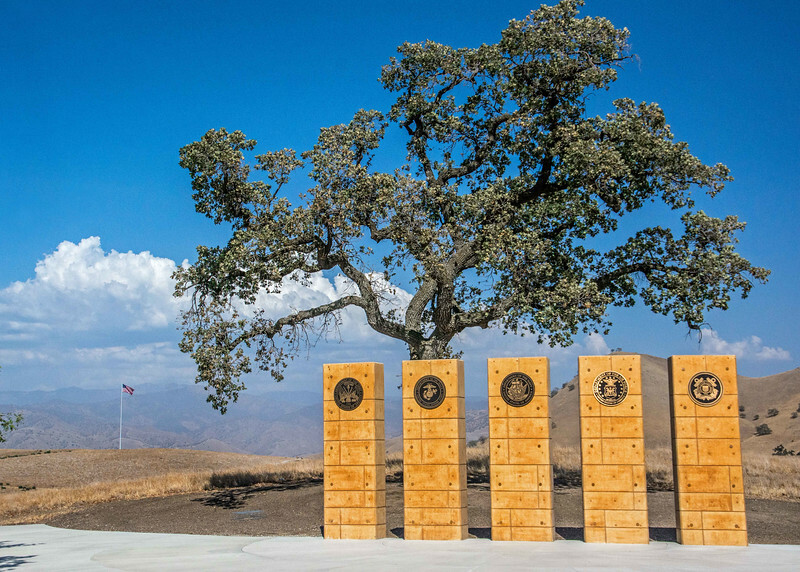 My goal was to liberate “the park” in memorial parks. 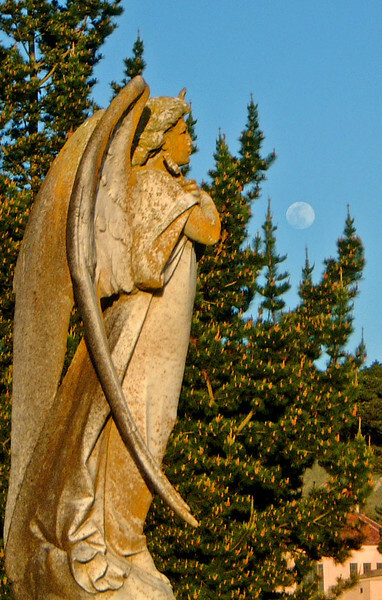 Please explore them and determine for yourself if find and feel the conflicting emotions they inherently induce. 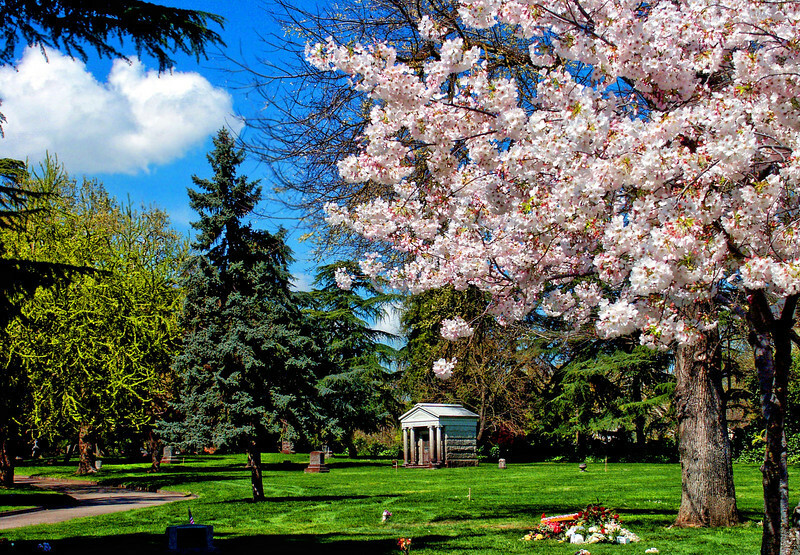 Commercial - Memorial Parks Folder - founded in 1904, East Lawn's downtown memorial park recently celebrated its 110th anniversary. 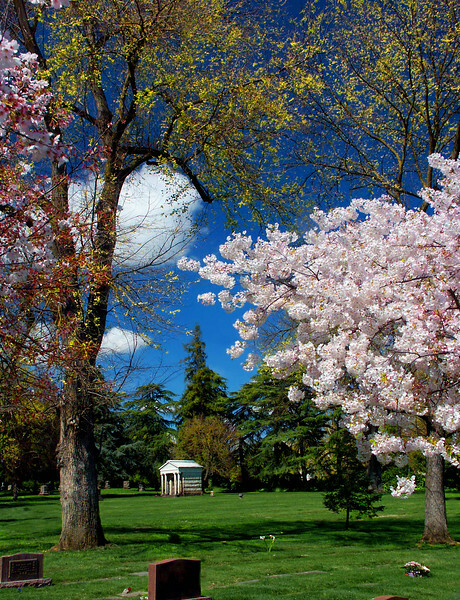 It's natural beauty intensifies in spring when blooms bring color and nature's joy to the landscape. 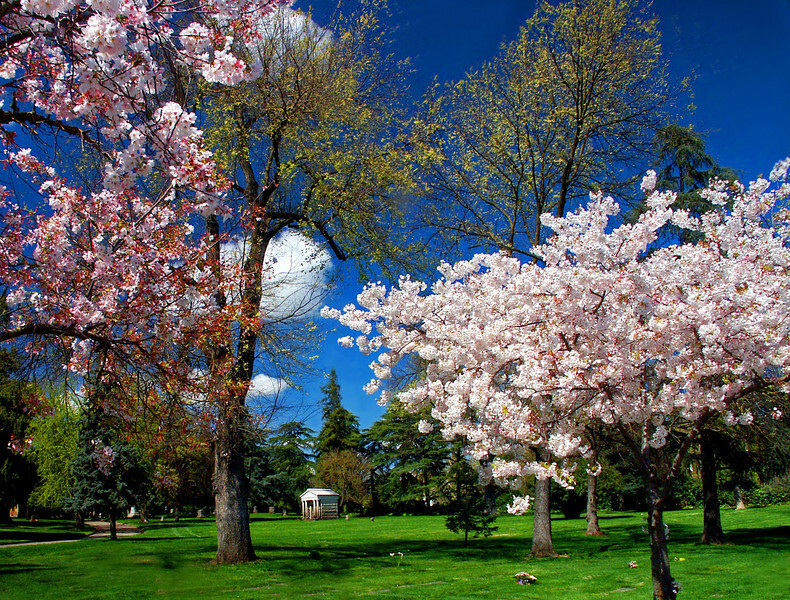 Commercial - Memorial Parks Folder - East Lawn dowtown neniruak park celebrated its 110th anniversary on 2014. 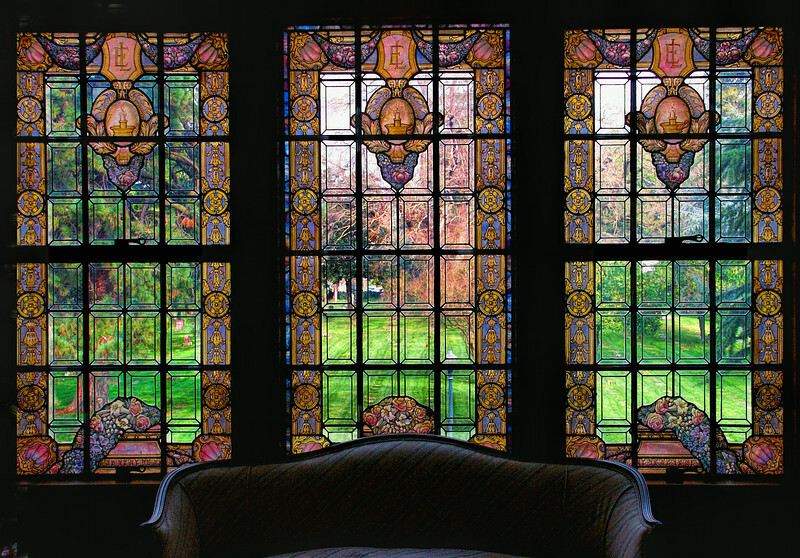 In its original administration building this lovely stained glass window greets those rising to the second floor with a scenic view of the park landscape . 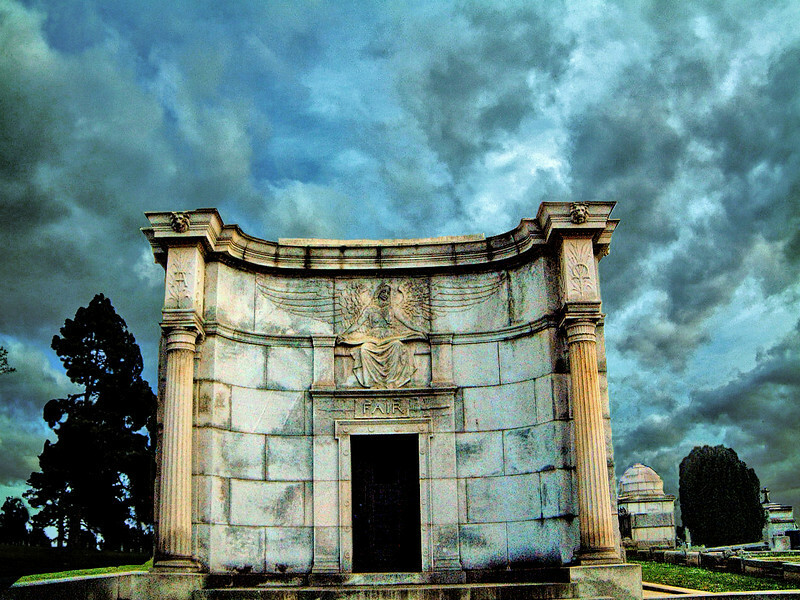 Commercial Photography Folder - this photo was used as the back cover for East Lawn's 100th anniversary celebration and promotional literature. 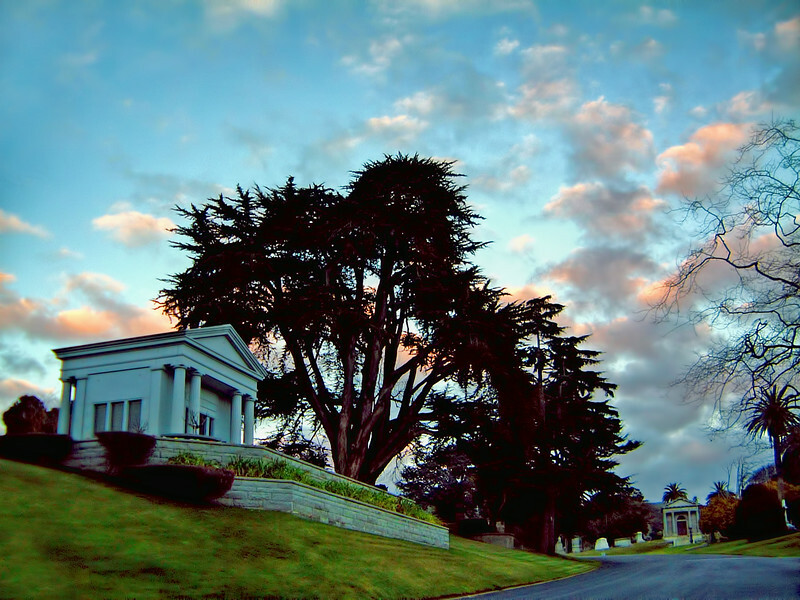 Commercial - Memorial Parks Folder: this large mausoleum and hundred year old cypress tree mark one entrance to the Colma's Cypress Lawn Cemetery. 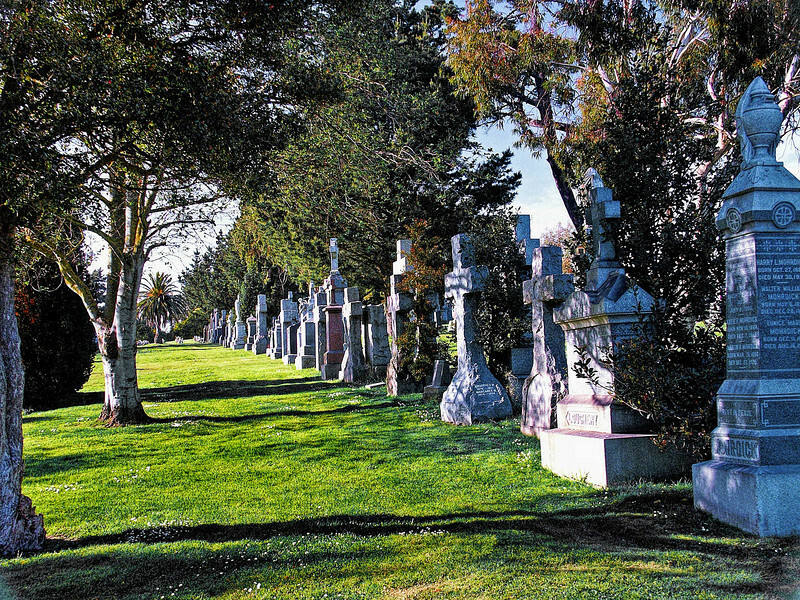 Commercial - Memorial Parks Folder: clustered with Mission Dolores in San Francisco, this garden-like cemetery was founded in 1776 and represents one of the oldest cemeteries in all of California. 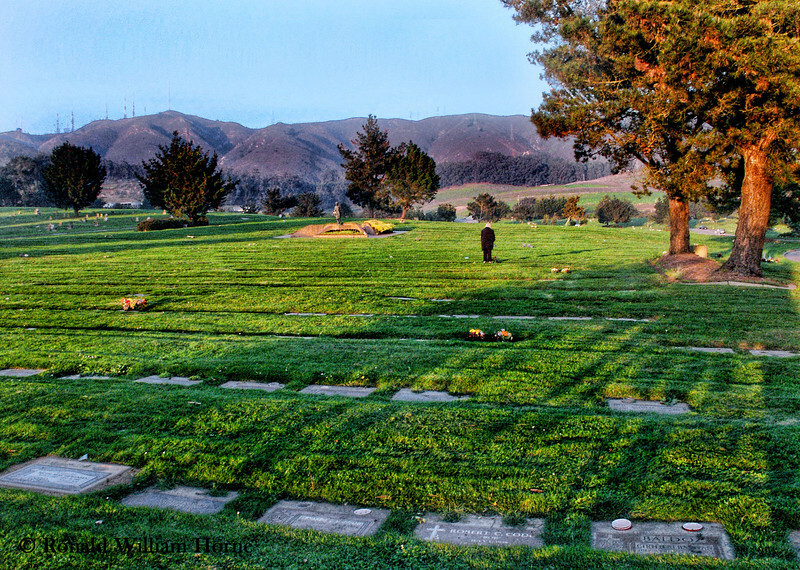 Commercial Folder - Memorial Parks - Holy Cross Cemetery - Colma, CA: A lone woman visits a grave in Holy Cross Cemetery, the oldest cemetery in northern California. 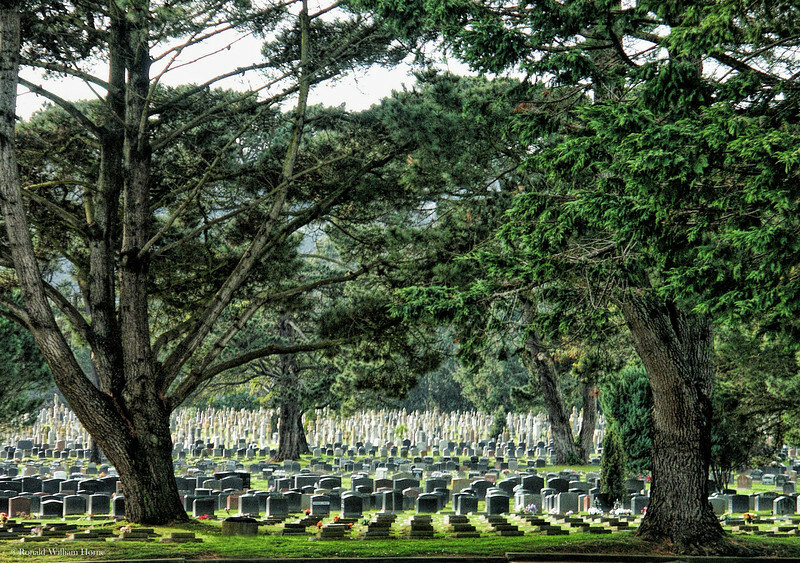 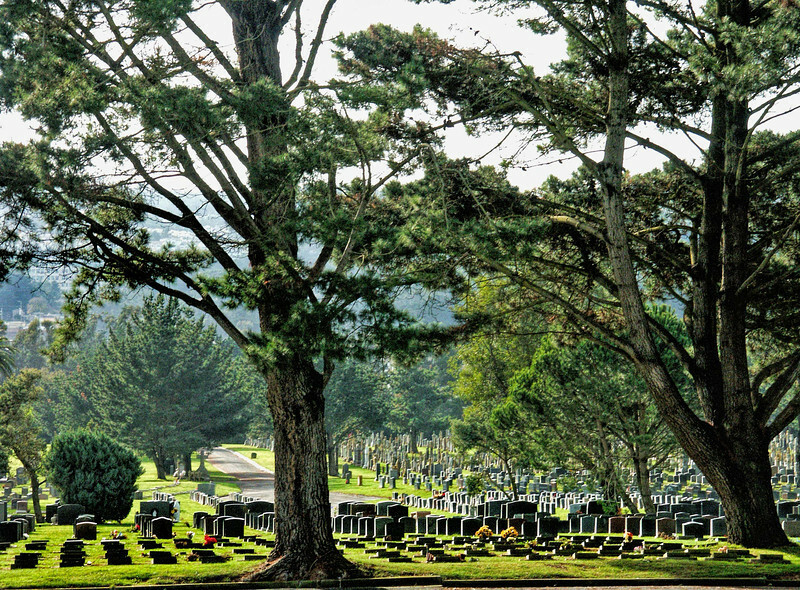 Commercial - Memorial Park Folder - Holy Cross Cemetery, Colma, CA - as the oldest and largest cemetery in the 'City of Cemeteries,' Holy Cross provide dramatic vistas of the surrounding mountains and tree line landscape. 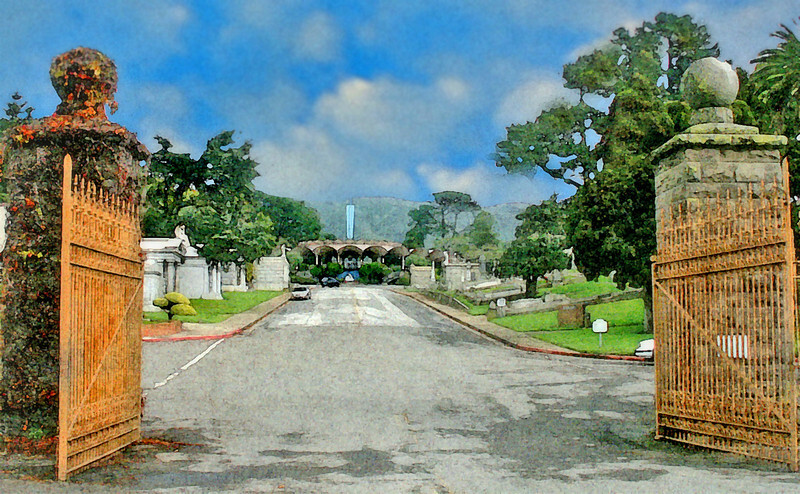 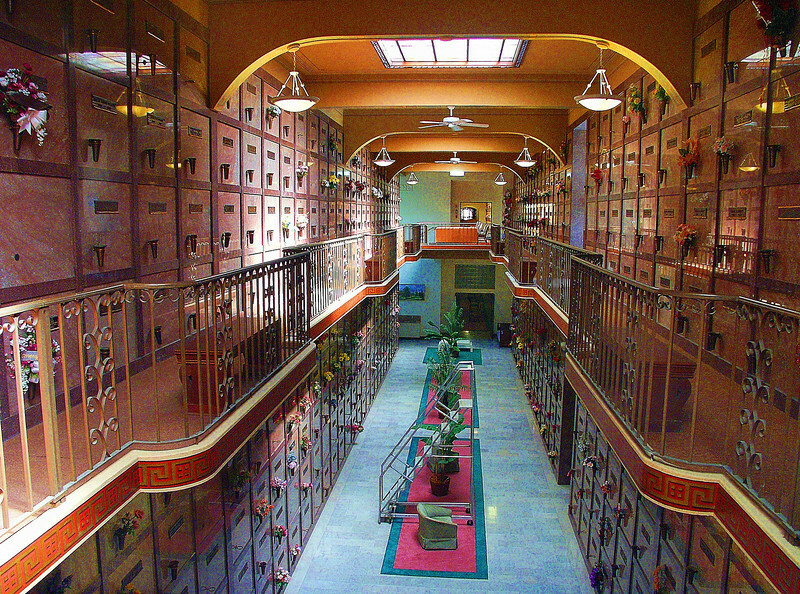 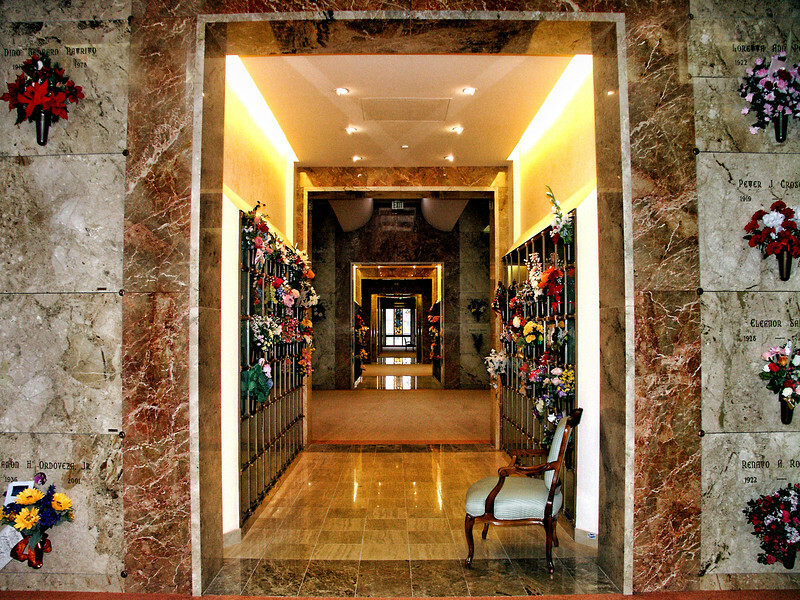 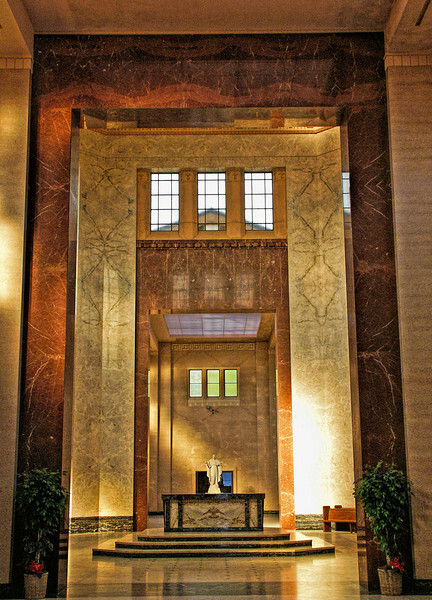 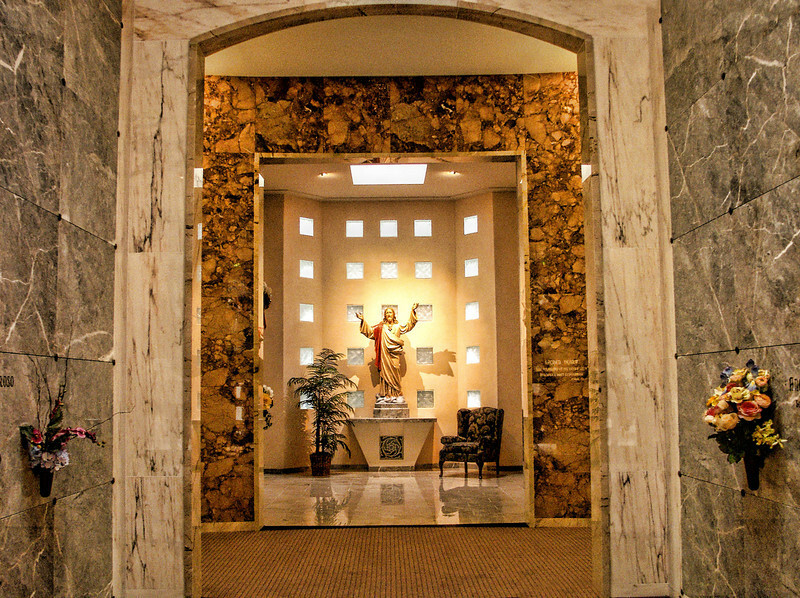 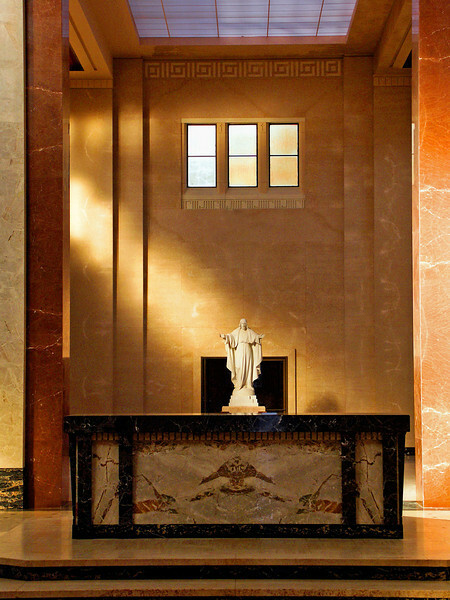 Commercial - Memorial Park Folder - Holy Cross Cemetery, Colma, CA - the large main mausoleum in Holy Cross is beautifully built in marble, brass and glass with long halls providing a peaceful perspective of time and place. 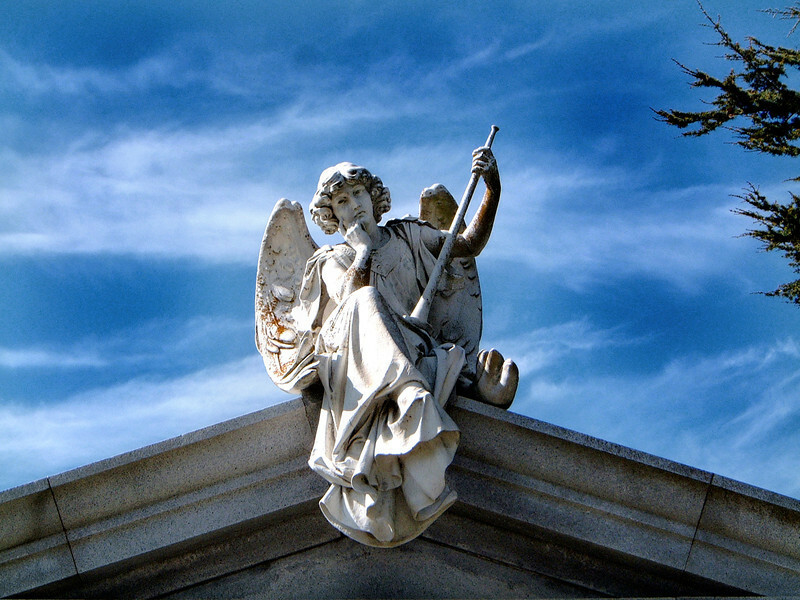 Commercial - Memorial Park Folder - Holy Cross Cemetery, Colma, CA - a classic angel with horn sits pensively on the rooftop of a personal mausoleum. 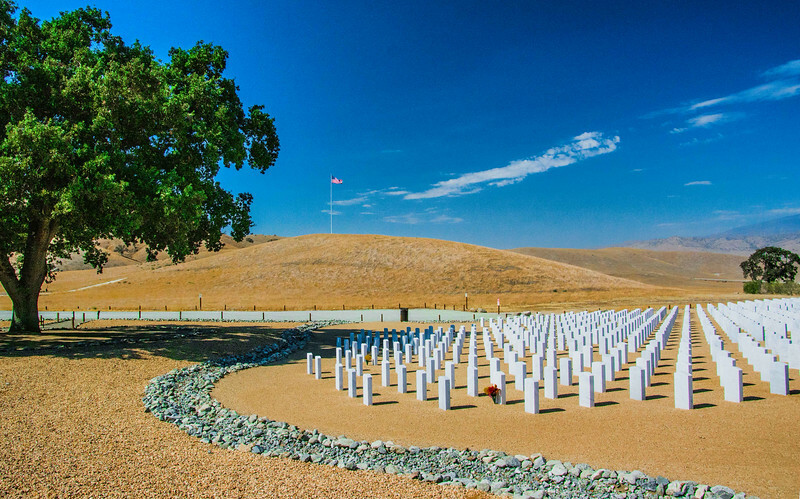 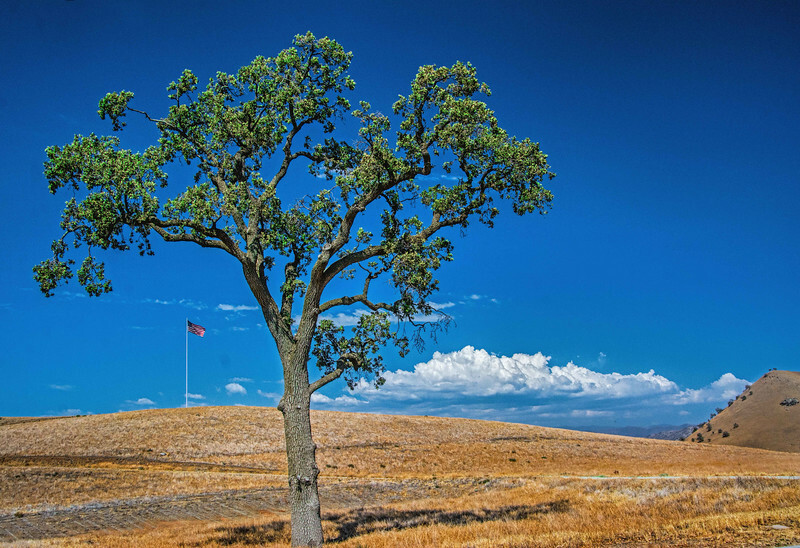 Commercial - Memorial Parks: Veterans National Cemetery, Bakersfield, CA where the American Flag, mounted on the highest point, catches the breeze to underscore the quiet reverence of the distinctly rural landscape. 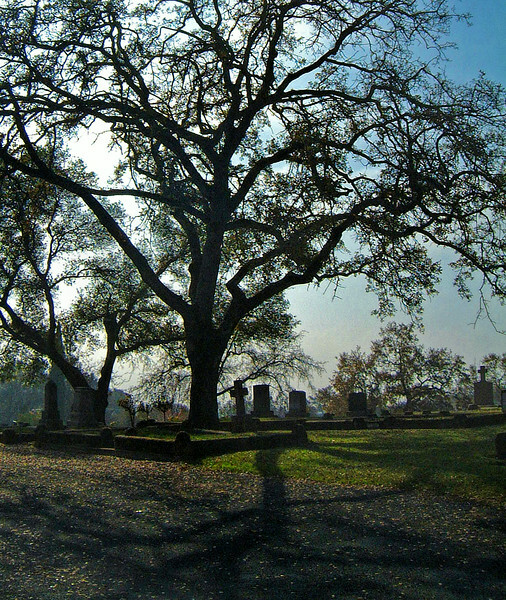 Commercial - Memorial Parks Folder: the gold country town of Auburn, CA was founded in 1851 and its small cemetery contains many graves dating back to that gold rush era. 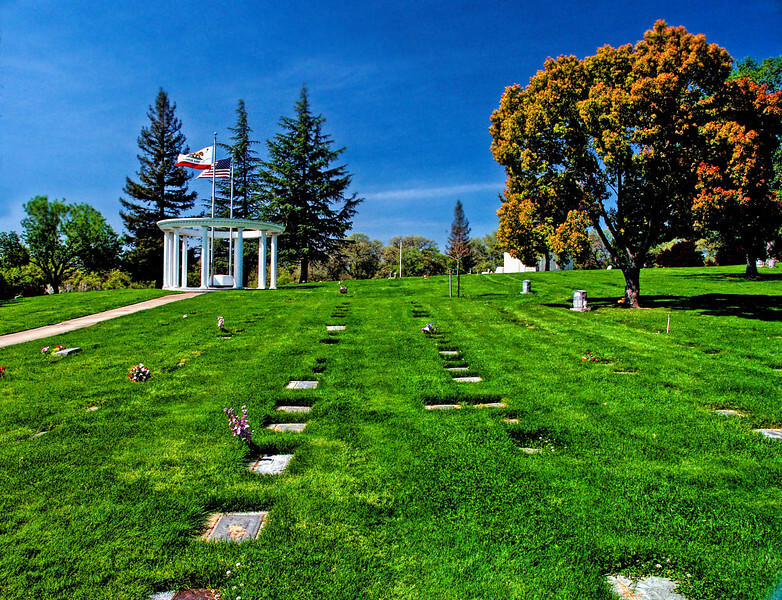 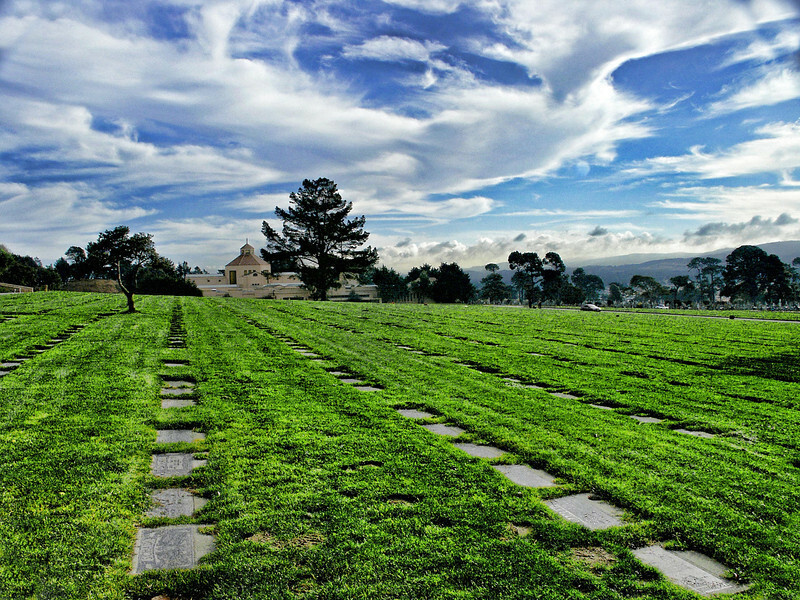 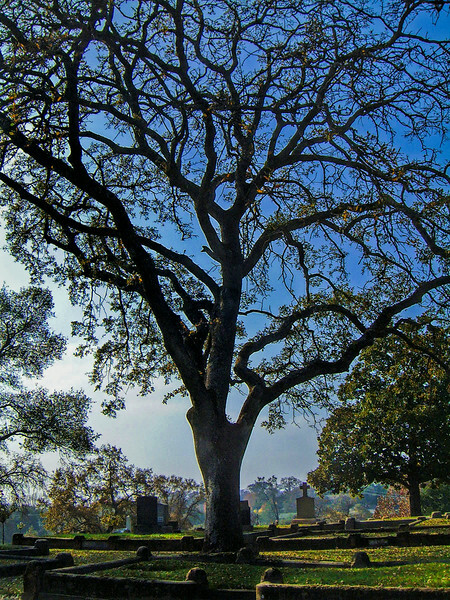 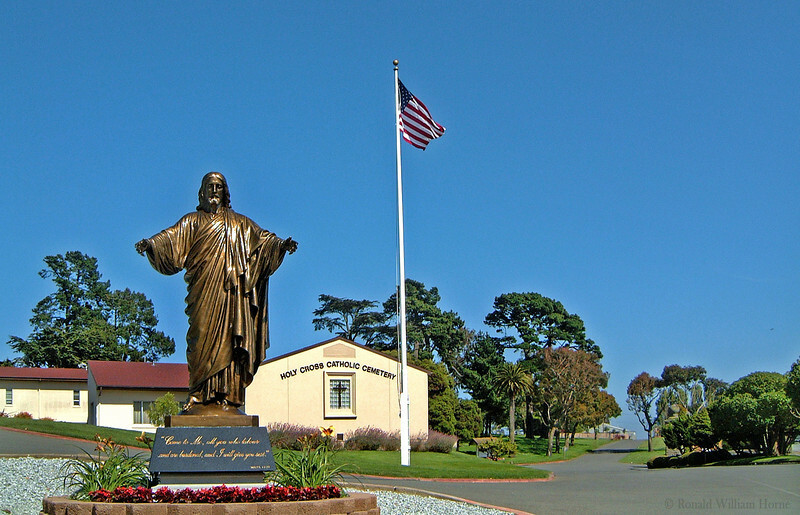 Commercial - Memorial Parks Folder: nestled in forty acres of the Oakland, CA hills, Saint Mary's Catholic Cemetery was founded in 1862 and hosts over 70,000 internments.